It’s been a busy holiday season for the Otaki Surf Lifesaving Club’s lifeguards with the hole and rips out in front of the clubhouse creating problems for many. People get dragged into the hole by the rip and then find themselves in difficulty and needing assistance to return to the beach. Among the weekend volunteer patrols and the regional lifeguards on duty during the week, they have had a run of preventive actions, moving people away from the hole and danger areas and advising swimmers to stay within the flagged area. But they have had a number of rescues and assisted emergency services at two fatalities at Peka Peka and south of Waikawa Beach. “It’s been really busy since Christmas,” said Rob Bigwood, a senior member and power craft officer. “The lifeguards have done really well, particularly with two fatalities in seven days. While the regional lifeguards have had a relatively quiet time, on two nights last week January 19–23, they had three rescues, on Tuesday one swimmer was rescued from the hole and a group of travellers who got into trouble swimming outside the flagged area, needed the lifeguards’ assistance to get ashore, one required medical help and was sent to hospital. On Thursday, just as they were about to pack up for the day, they had to rescue a young woman who was caught in the hole, again she had been swimming outside the flags. The regional lifeguards are on duty weekdays, they are paid for their time on patrol. 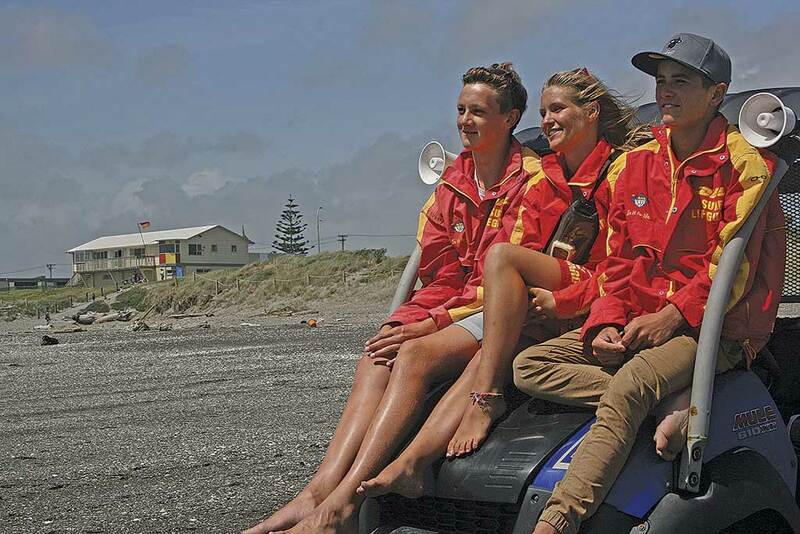 Where in previous years they have been appointed to a set beach — Otaki lifeguards were patrolling at Paekakariki, Waitarere, Foxton or Himatangi, where they stayed throughout the holiday period. This year they have been moved around the different patrolled beaches on different weeks. 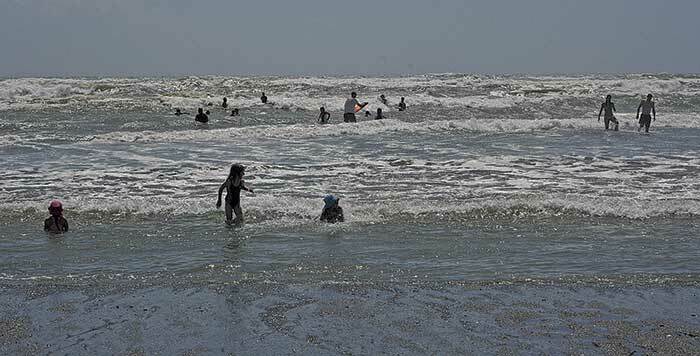 This has had some benefits as they gained experience in different conditions and introduced others to the Otaki beach. He has worked as a lifeguard in France, England and Australia before coming to New Zealand. “I have really enjoyed New Zealand and the people are really friendly and welcoming,” he said. The regional lifeguards finish their weekday patrols on January 30, with the club’s volunteer lifeguards patrolling weekends until March.